Already the 7th Year of international LGBTI tournament will take place in autumn Bratislava. 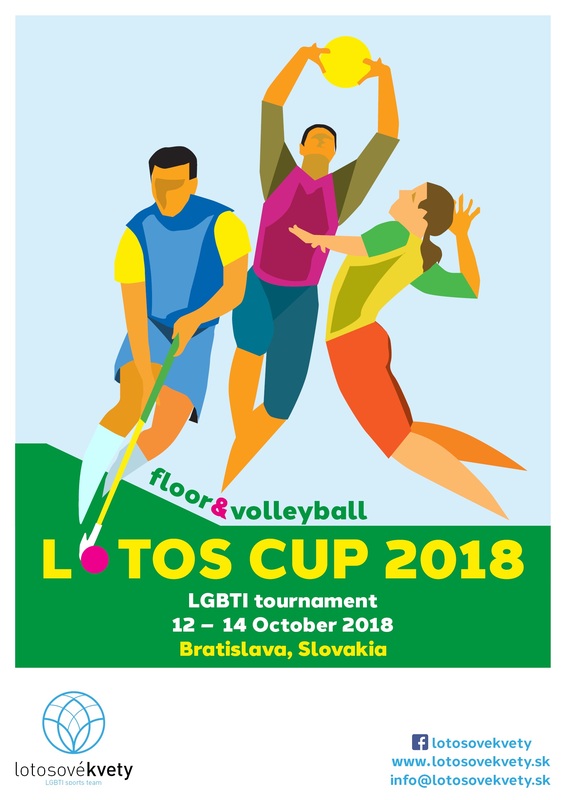 Playing day of both sports will be Saturday (13 October 2018), ending with "Lotos CUP Afterparty". We recommend to you to arrive in Bratislava on Friday (12 October 2018) because of acreditaiton and also to avoid time stress. Mixed teams are allowed and very much welcomed. In case you do not have the whole team available, the players can register also individually and we assign them to complete other teams. Please do not hesitate to contact Organizing Committee of "Lotos Cup 2018" via info@lotosovekvety.sk, our facebook page .../lotosovekvety or check the news on our website www.lotosovekvety.sk.